In 2006 we were asked to study and propose an integrated audio/video system, able to carry out some tasks impossible to scientists using standard methods. 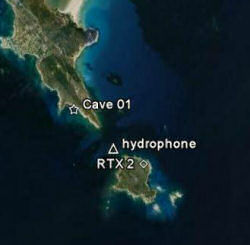 The first task was to audio/video monitor two partially underwater caves. The two sites are remote and hard to reach both by land and by sea. This surveillance has scientific aims. 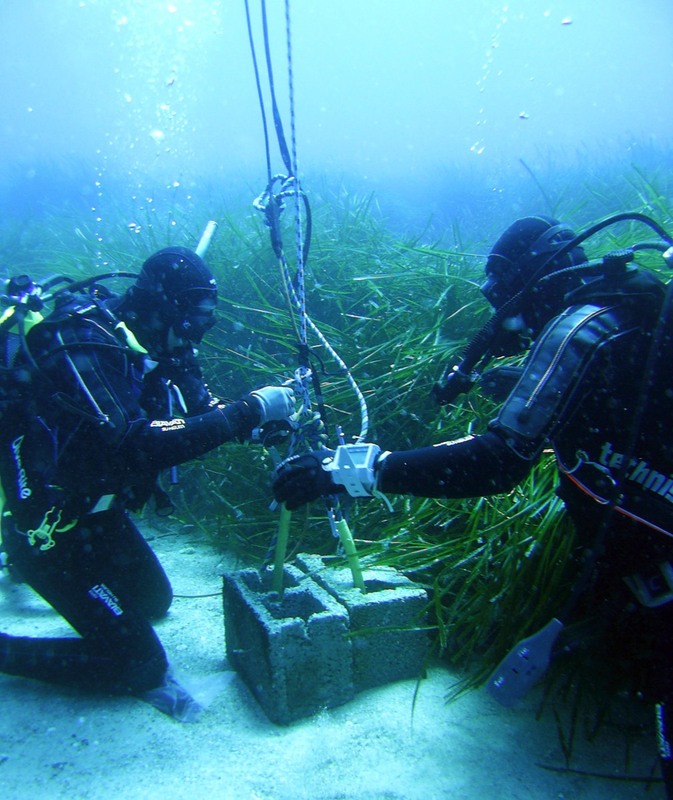 The second task was the planning of an underwater acoustic monitoring activity in the Marine Protected Area. This monitoring is aimed at collecting information about the noise levels in the area. The third task was a data collection about the "use of the sea". The managers were interested in understanding the habits of commercial operators (mostly scuba centers and small fishing gears) in the area. The area is at the extreme south-east of Sardinia. It is a fragmented sandy coast with large and frequent granite inserts. Poorly inhabitated it is a rather wild beautiful area, living mostly on seasonal tourism. Communication infrastructures are poor (poor cell phone network coverage outside the village). 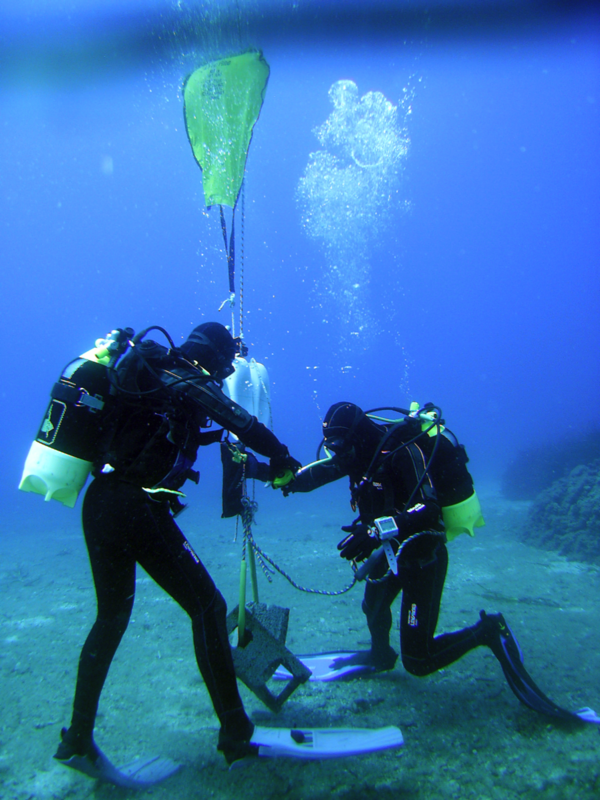 Sea-bottom is sandy in the area, with depths ranging from 0 to -250m in the area. A Marine Protected Area is well established, and special rules are enforced. 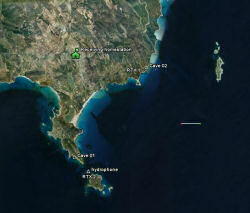 The area is beautiful and has frequent Cetacean and Turtle sightings. A standard survey was conducted prior to any feasibility study. Digital mapping data were acquired. 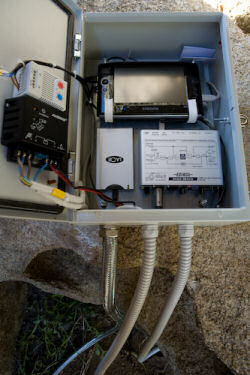 After several tests we decided to offer the installation of two special videocameras in the caves, linked to a base station via a long distance wireless ethernet link. The video signal is digitized using a vieo server and then loaded over the ethernet link. Both stations are linked to a third point at the small island. 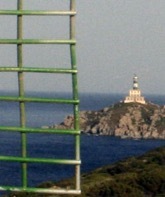 The point is at the island lighthouse. A few bounces are necessary to reach the lighthouse from the monitored positions and from there the municipal office, at the end. At the office the video streams are received and possibily recorded when necessary. The lighthouse as seen by one of the monitored caves. The network shown as an animated image. On the small island there is a lighthouse were part of the equipment was settled. 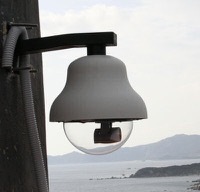 At the lighthouse were installed two motorized PTZ cameras, the ethernet radio link was relayed and the acoustic monitoring system was prepared. 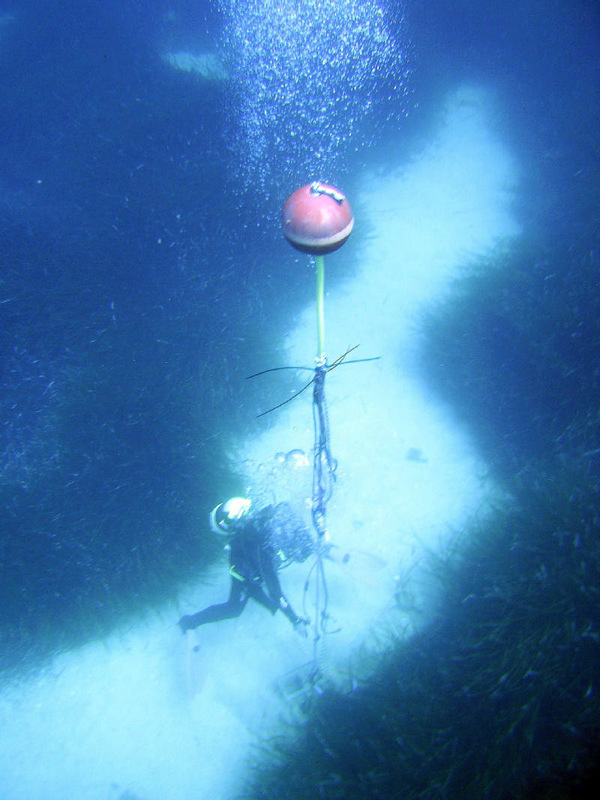 The acoustic monitoring system was based on an analog tethered hydrophone, set at about 800m from the lighthouse on a sea bottom of -28m. 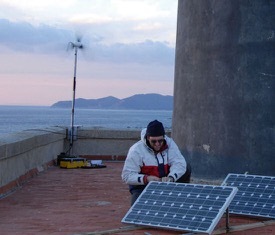 The hydrophone signal was acquired using an AD converter, and then stored on a low-power computer at the lighthouse. This computer was linked to the home station, at the municipal house, via the ethernet radio link, (hyperlan standard). 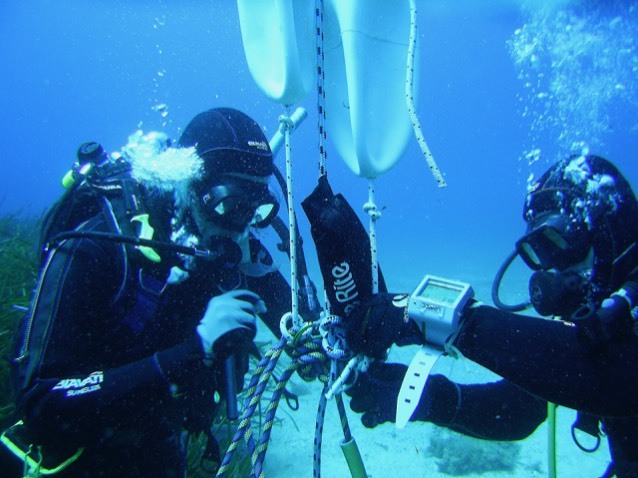 From there the audio files can be retrieved and the acoustic sampling scheme can be re-programmed. The audio stream could also be transmitted live, using a custom software, that can transfer the input to an output of a remote ethernet station with a lossless format. The metal box containing the recording system. 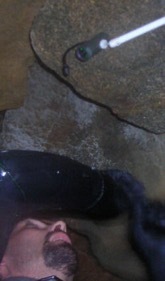 Grotta video telecamera fissa from michele manghi on Vimeo.